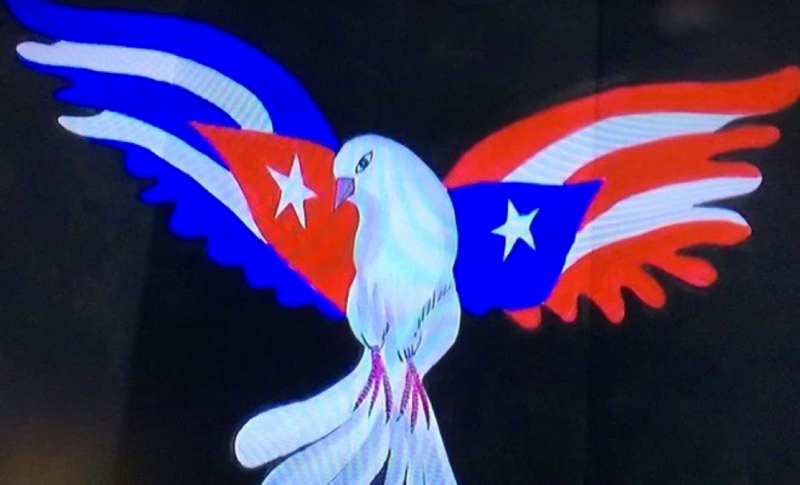 “Cuba y Puerto Rico son de un pájaro las dos alas.” [Translation: Cuba and Puerto Rico are the two wings of one bird]. That was one of the last things my Abuela [grandmother] said to me as I left Puerto Rico over winter break this year. I had never heard that phrase before or the 1893 pro-independence poem from which it originated, but I knew that she was talking about the parallel histories of the two Caribbean islands. In that moment, I knew I had made the right choice to study in a land about which I knew very little but had heard so much. One of the main reasons I decided to spend a semester in Cuba was to compare and contrast the two wings – Cuban culture and the Puerto Rican culture of my mother’s side of the family. Growing up with revisionist American history courses (which covered very little about U.S. involvement in Latin America), I never knew how much the histories of the two islands paralleled each other. Both were among the longest-lasting Spanish colonies, and Spain relinquished its rule of both in 1898 following the Cuban War of Independence (somehow, we refer to this war as the Spanish-American War even though the U.S. fought for just a few short months). For much of the 20th century, even though Cuba was independent in theory, both Caribbean islands served primarily as economic assets for the United States. The U.S. profited immensely from the islands’ labor and resources. The two wings diverged on the eve of January 1, 1959, when the 26th of July Movement and its allies emerged victorious in the Cuban Revolution. There are many topics I hope to explore in my semester in Cuba. I want to learn why Puerto Rico has remained a site of economic exploitation for the U.S. while Cuba secured economic independence. I want to examine why my American history courses in high school taught me that Cuba is essentially a four-letter word while failing to mention Cuba’s universal healthcare and one of the highest literacy rates in the world. I hope to see how Cuba and its relations to the U.S. begin to change following recent events, such as the death of Fidel Castro and the inauguration of an American president whose choice for Secretary of State, Rex Tillerson, said he would consider putting Cuba back on the “list of terrorist nations that support terrorism.” Because of America’s checkered history with its neighbor 90 miles to the south, my courses have taught me an incomplete narrative which I hope to fill during my semester abroad. As I prepare to fly to la otra ala [the other wing], I hope to stay grounded in myself and continue to strengthen my own sense of Latinx identity [see why I use the term “Latinx” here]. Puerto Rico is the only place in the world where I have been surrounded by primarily Latinx people, and my own sense of identity suffers when I’m not around my Puerto Rican side of the family. In Cuba, I have three main goals: to explore Cuban culture, to learn the country’s histories, and to return with a renewed sense of self.